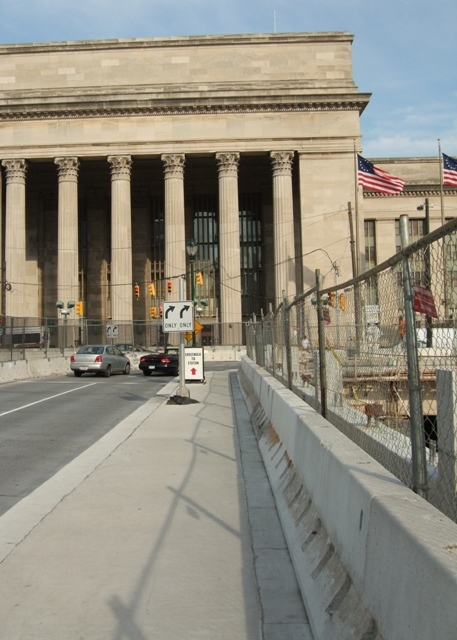 « Spend a day in Philadelphia – take the train from New York City – it’s a GREAT idea! 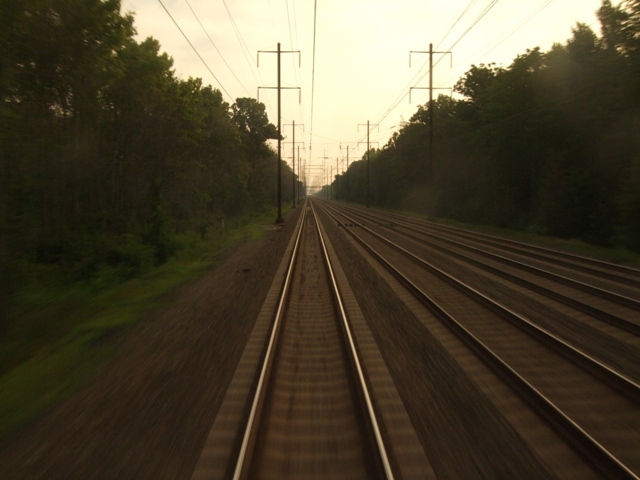 The Amtrak System has routes all across the United States, including 4 stops connecting up into Canada, like the stations in Vancouver and in Montreal. The lines have names like the “Keystone” line between NYC and Philly. You’ll have a choice of economy travel, business travel, and (on some trips) sleeping accommodations. But the economy (coach class) is very comfortable. The seats are large and comfy and the views from the window are terrific. There is ample space above your head for storing your luggage (Remember, Amtrak limits the amount of carry-on luggage to two bags). Everyone, especially kids, will love the freedom allowed on board. You are welcome to explore the train from front to back. The doors open easily with the push of a large button (that’s the doors between trains, not the exterior doors). 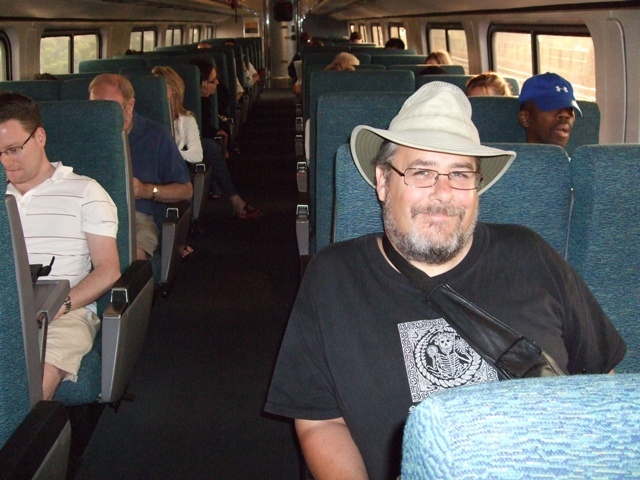 If you are seeking solitude, then retire to the “Quiet Car” which comes with its own set of rules: No cell phones, radios, or even loud conversations are permitted in this car. But you can walk through it, respectfully. 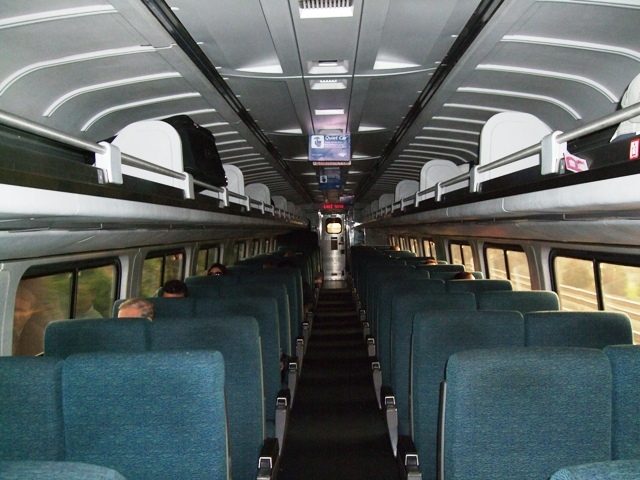 That’s the Quiet Car showing above — not heavily populated, but very quiet. There is also a cafe car where you can buy snacks and beverages. It’s a great place for a foursome who want to play a game of cards. Photographers will love the photo opportunities. At each station, the train stops briefly and the doors open allowing some for some fairly nice shots. Or go all the way to the end of the train, and shoot out the back window. True, the glass is a little grimy, but I got okay shots like this one. The Amtrak train system can be delayed but for the most part, the trains remain on schedule. Tickets can be reserved and fares paid easily on line. Be sure to sign up for Amtrak’s “guest rewards” points program before booking your tickets. Once reserved on line, it’s easy to get your tickets at a Quik-Trak self-service ticketing kiosk. Be sure to have the credit card you used to buy your tickets with you because you will need it. Your AAA membership is very valuable and will result in great discounts. Be sure you bring this card with you, too. The seats are low enough to allow for short-legged folks to sit truly comfortably. The ride is care-free and relaxing. 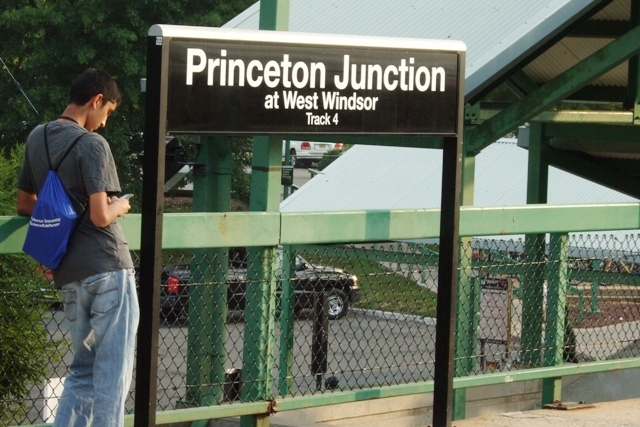 Stations are easily accessed via local bus and subway systems. Ticket prices are extremely reasonable. No fighting traffic. No expensive gasoline fees. No costly rental car and extra insurance fees. It’s fun! And that’s the best reason of all. This entry was posted on Thursday, July 10th, 2008 at 1:37 pm and is filed under Adventure Travel, Canada, Family Vacations, Train Travel, Travel - General Advice, Travel photography, Travel tips, Travel with kids, United States, Variety. You can follow any responses to this entry through the RSS 2.0 feed. Both comments and pings are currently closed.